Is the value after the decimal point fixed to "00"? If it is, then simply add it in the input mask. If the decimal value is fixated to "00", then you can add it in the input mas. 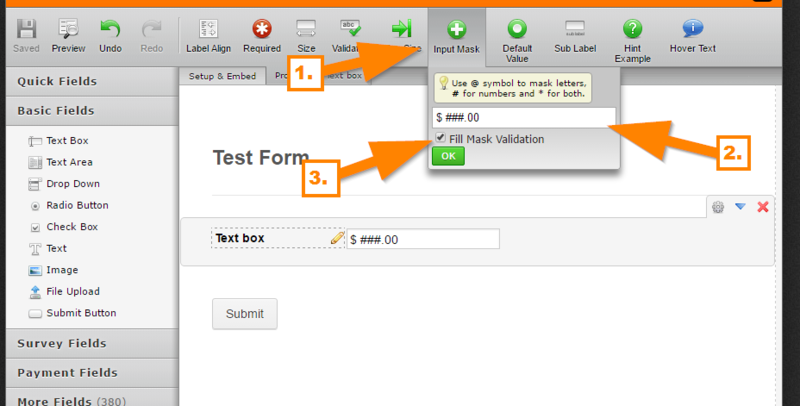 If you want to force users to fill out the whole mask, then enable "Fill Mask Validation". If I misunderstood your concern, please do provide more details. - cannot use $####.00; as it will truncate the decimal places. 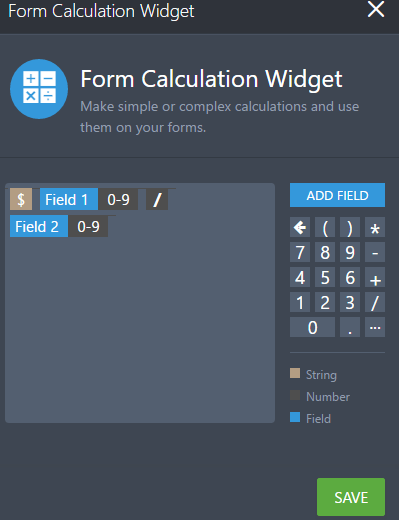 - On a number field, I cannot get it to dollar sign to display. 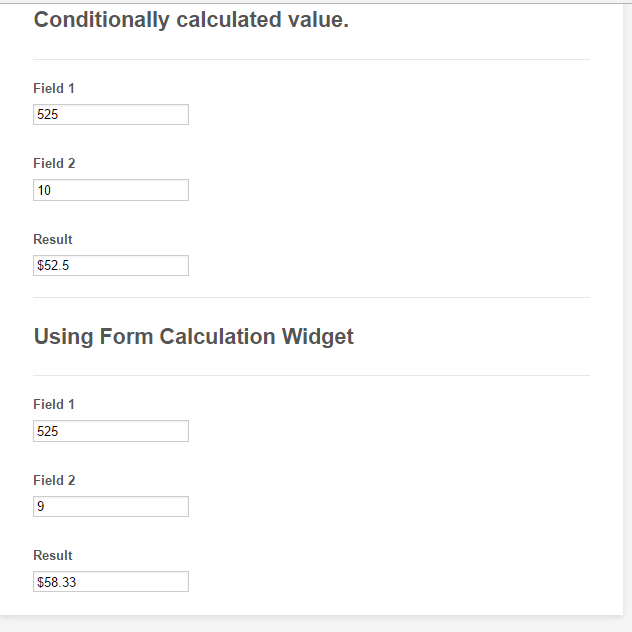 - On a text field with currency field set: it truncate anything decimal places if it is given from a calculated field. Eg. 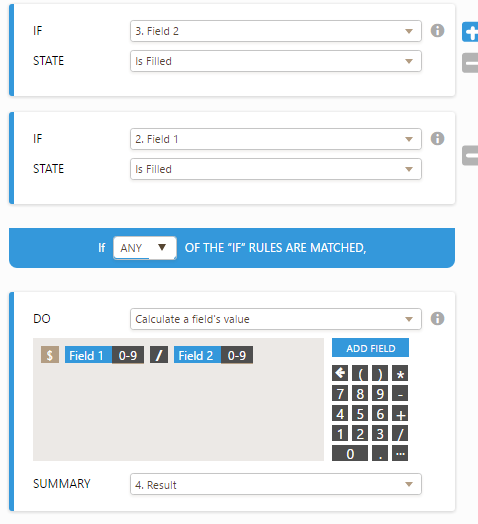 if condx , put field1 / field2 into final_field ( e.g. 525/10 into final_field) . Then final_field will contain only 52, not 52.5. The mask does not help. - 5001 / 10 . If I want the decimal places to show up, I have to use Number field. field = $ 500.10 , I will have to use Number field. Then, download the form and edit the "$" in front all input fields which need the $ sign. Am I correct? If not, please let me know the alternative. Also, the Number format widget does not help in this matter either. 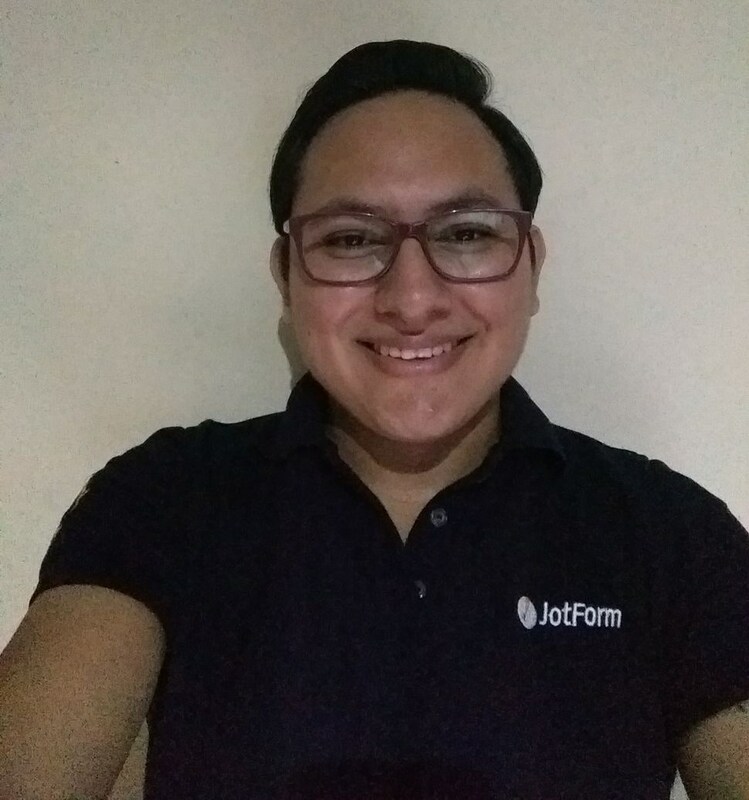 The same can be done with the Form Calculation widget, the only difference is that you do not need to calculation to be triggered upon any action.